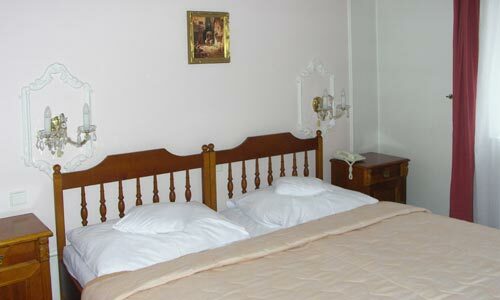 The Hotel Vyšehrad **** was opened in 1995 and is furnished in the 19th century decorative style. 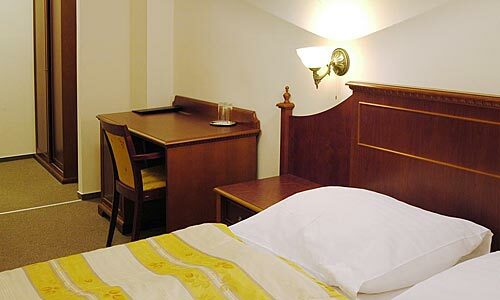 The hotel is conveniently located near Prague Congress Centre, Vysehrad National Cultural Monument, Vysehrad Castle. 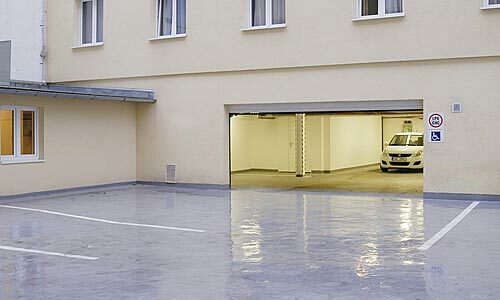 The sophisticated interior is of a traditional design and radiates a sense of elegance and timeless style. 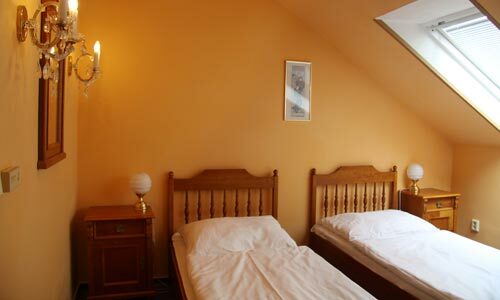 Vysehrad Hotel offers the accommodation in 42 guestrooms in a 4-story property, which are composed of 4 singles rooms, 35 doubles rooms and 1 apartment room. 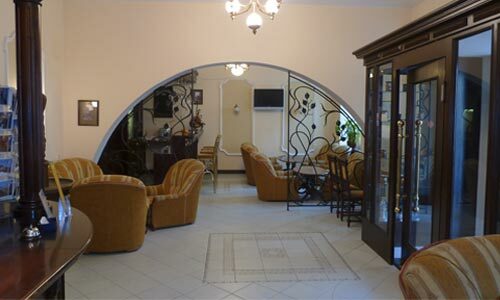 You can start your day in the perfect way with the generous breakfast buffet, which is served from 7.00 a.m till 10.00 a.m., plan your tour of Prague with the free internet access and, after exploring this wonderful city, enjoy a relaxing drink in the bar. 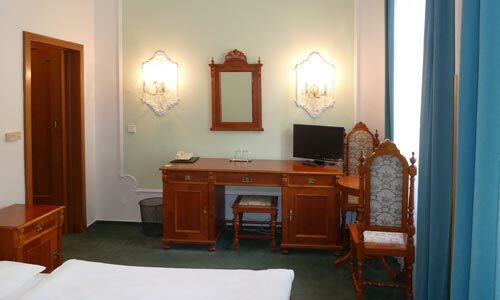 The hotel is located 5 minutes by waking to two metro stations - Prazskeho povstani station and Vysehrad station, and it is just 2 stations by the metro line C to Prague historical and cultural center - Wenceslas Square. 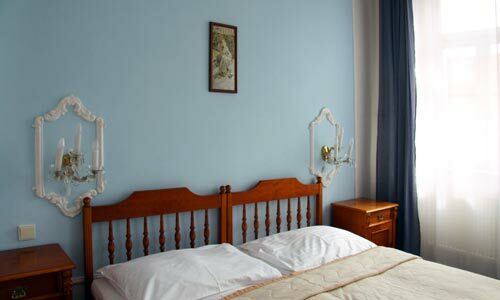 Historical "Vyšehrad" area is in 10 minutes walking distance from the hotel. Vyšehrad park offers a tremendous view of the Prague Castle and a breathtaking panorama of the city. 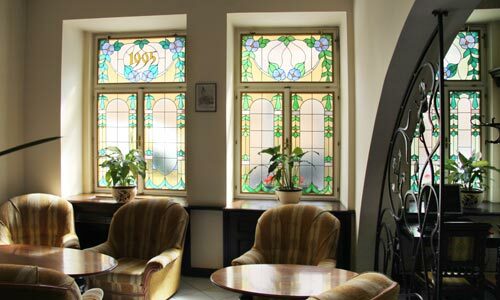 You can relax and enjoy the beauty of Prague historical and local culture, apart from shopping in the famous brand-new shopping centre "Arkady", which is in 10 minutes by walking or 1 station by metro.